If you are a Northumbria Basketry Group member and have not joined us at the event before you are very welcome to do so. Ancrum is a village to the north of Jedburgh just off the A68. 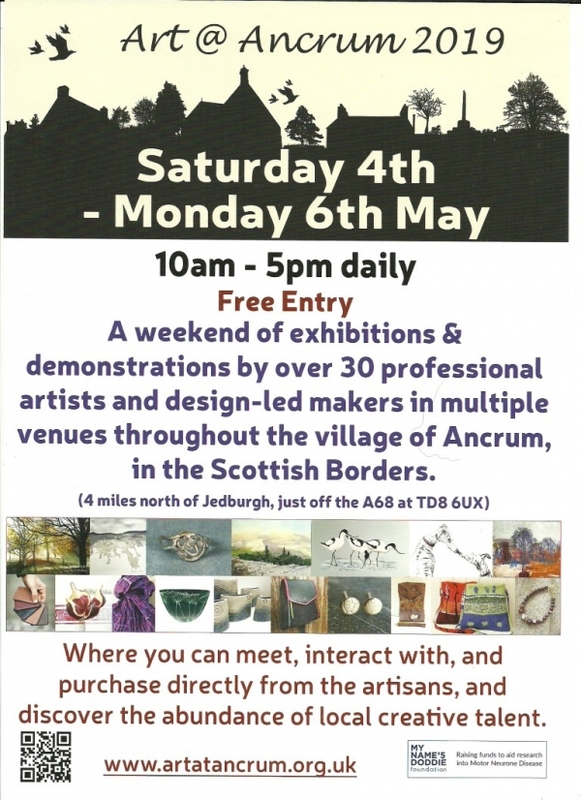 The whole village hosts artists and craftspeople over the May Bank Holiday weekend, Saturday 4th May to Monday 6th May, from 10.00 am to 5.00 pm each day. We'll be in an event shelter in one of the gardens demonstrating and selling our work as well as promoting the group. If you're able to help staff the stall, meet other makers, demonstrate your basketry skills or have baskets for sale please contact Sheila Patrick with your availability.